Resurrection Quest: Beginning at 9:30 a.m., bring the kiddos for an Easter-themed seek-and-find through the Journey of Faith tour. The last tour will begin at 3:30 p.m.
Story Time on the Patio: From 11:00 a.m.–4:30 p.m., a new presentation will begin each half hour. Learn the story of Easter through a Resurrection Egg program. Take home your very own set of Resurrection Eggs for $10, while supplies last (reserve your set below). Cross T-Shirt Tie-Dye (ages 12 and up): From 11:00 a.m.–4:30 p.m., older kids and adults can create their very own tie-dyed t-shirt with a design that will remind them of the ultimate sacrifice Jesus paid for their sins. Share the story of Jesus’ death and resurrection with others as you wear this t-shirt. Cost is $10; reserve your spot below. Space is limited. 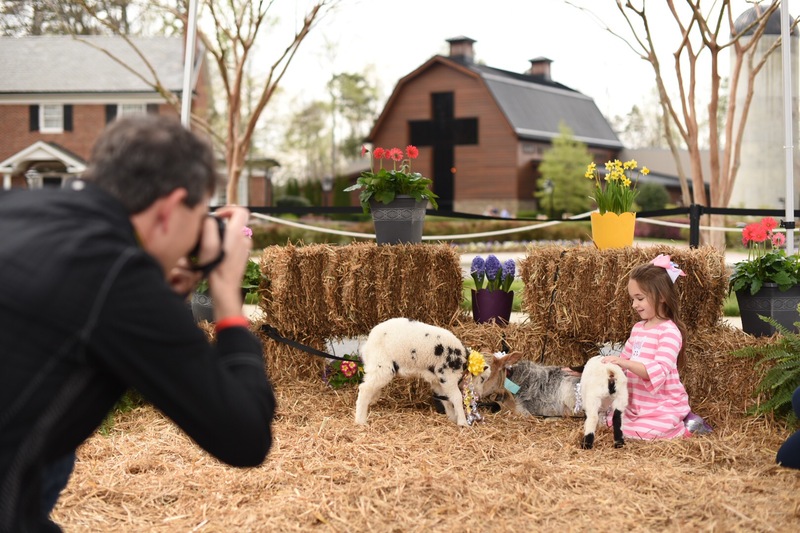 Baby Animal Petting & Photos: Animals will be on-site beginning at 11:30 a.m. until closing at 5:00 p.m. for children to greet. Parents, be prepared to snap a photo of your littles with animal littles.